I’m big on information. 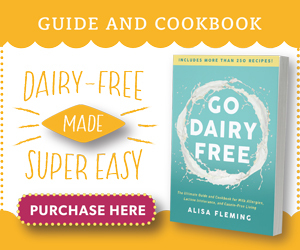 So you’ll find ample help in my two dairy-free books: Go Dairy Free: The Ultimate Guide and Cookbook for Milk Allergies, Lactose Intolerance, and Casein-Free Living and Eat Dairy Free: Your Essential Cookbook for Everyday Meals, Snacks, and Sweets. These are two completely different books, with unique recipes and tons for you to learn and enjoy. The 1st edition sold over 50,000 copies, and the 2nd edition is even better! 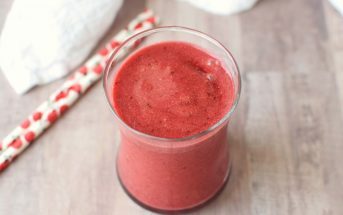 It now has over 250 recipes (over half are new and improved), renovated and expanded dairy alternative guides, and more tips than you can shake a stick at. It’s also been fully redesigned and expanded into a massive 450+ page book. It’s an extreme value! 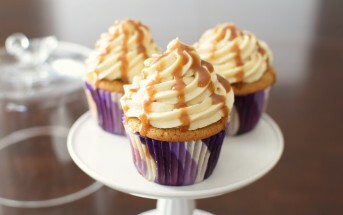 For more details, see the Go Dairy Free 2nd Edition Info Page. 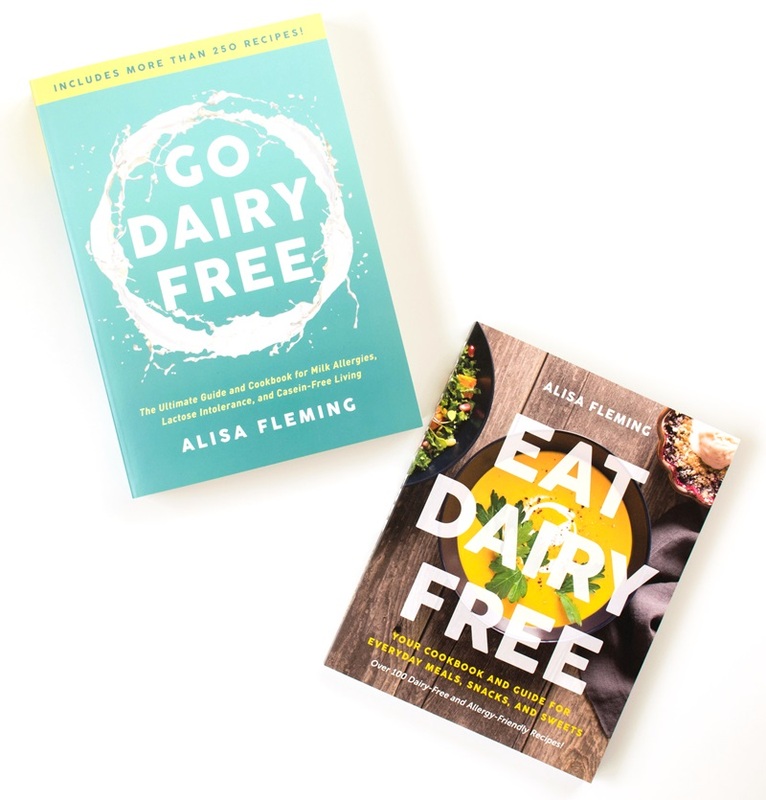 You can get Go Dairy Free from Amazon, Barnes & Noble, and other booksellers. This is all cookbook, with 110 original recipes focused on nutritious, everyday eating. It’s full color with a picture for every recipe and an easy to follow format. Inside you’ll find breakfast, lunch, dinner, snack, and dessert recipes that are full of flavor without the need for store bought substitutes. 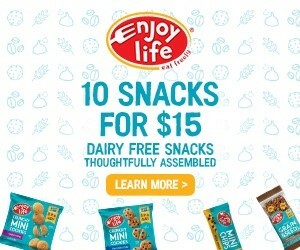 For more details, see the Eat Dairy Free Info Page. 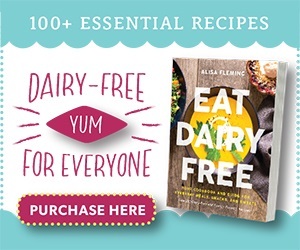 You can get Eat Dairy Free from Amazon, Barnes & Noble, and other booksellers. These are “just” dairy-free books, but I’ve created options for other special diets, too. 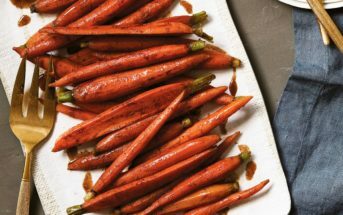 Go Dairy Free actually has egg-free and vegan options for every recipe, and Eat Dairy Free has egg-free and gluten-free options for every recipe. 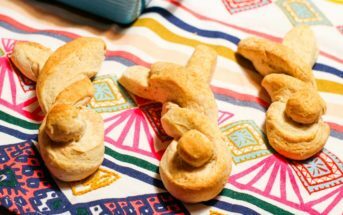 Both have full allergen charts cross-referencing the recipes at a glance for egg-free, gluten-free, nut-free, peanut-free, soy-free, and vegan. And believe me, there are tons of options for everyone! You don’t need to buy any dairy substitutes. Go Dairy Free provides homemade dairy substitution options for every need, while Eat Dairy Free focuses on from-scratch cooking without the need for any alternatives. I provide customer support. These dairy-free books are filled with an amazing amount of information and recipes. But if you have the books and can’t find an answer, I welcome you to email me (my direct email will be in your copy!). I’ll do my best to offer a solution. I’m not a miracle worker, but if I can help, I will.